We've been hearing about a planned Daft Punk documentary for almost a year, and now the project finally has a title and a release date. Commissioned by BBC Worldwide, the flick is called Daft Punk Unchained, and it will premiere on July 24 through the French TV network Canal+. 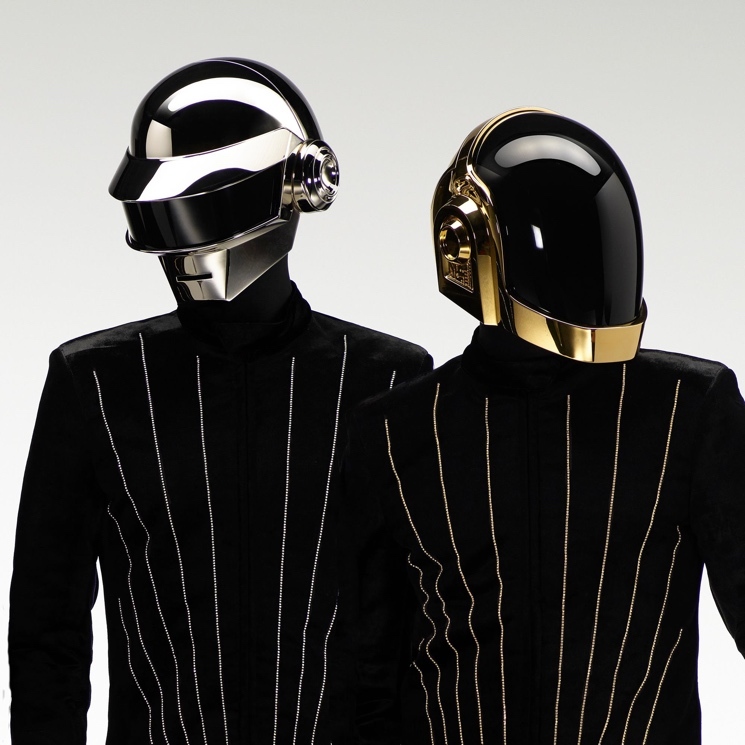 The film will feature appearances from some of Daft Punk's high-profile peers and collaborators, including Kanye West, Giorgio Moroder, Chic's Nile Rodgers, Skrillex, Pharrell Williams and Paul Williams, plus behind-the-scenes associates like filmmaker Michel Gondry, former manager Pedro Winter, designer Tony Gardner, artist Leiji Matsumoto and radio DJ Pete Tong. Daft Punk Unchained will include a theme song from collaborator Joseph Trapanese. It was directed by Hervé Martin Delpierre and written by Delpierre and Marina Rozenman. According to an announcement, "This documentary explores this unprecedented cultural revolution revealing a duo of artists on a permanent quest for creativity, independence and freedom." The film is sure to shed some light on the mysterious Robots. Perhaps it will explain their sudden interest in skateboards, yo-yos and frisbees?